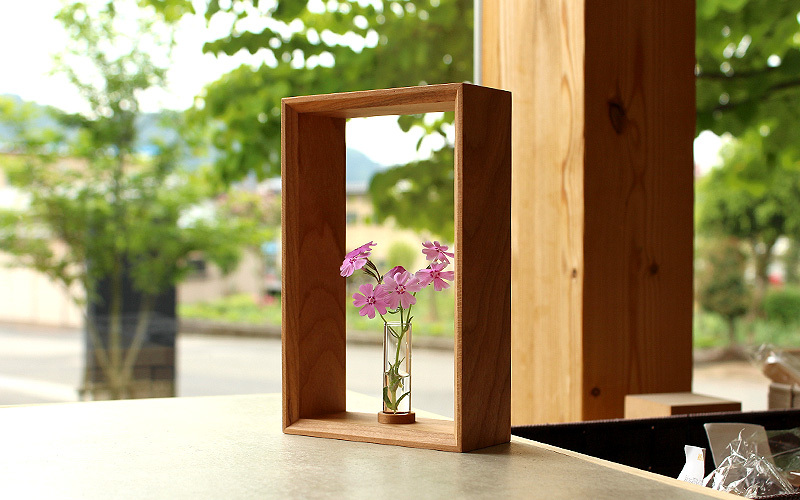 This wooden frame with a single-flower vase is finished exquisitely by the hand of craftsman. 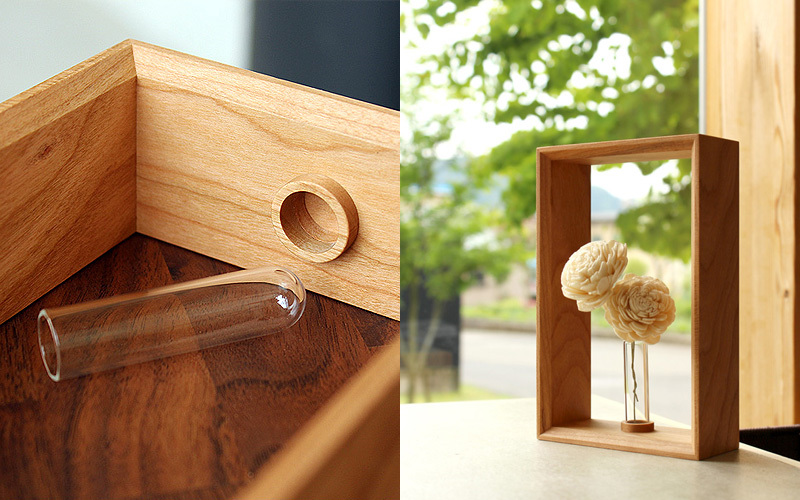 Beautiful grain pattern of wood can give center table arrangement an imposing presence. 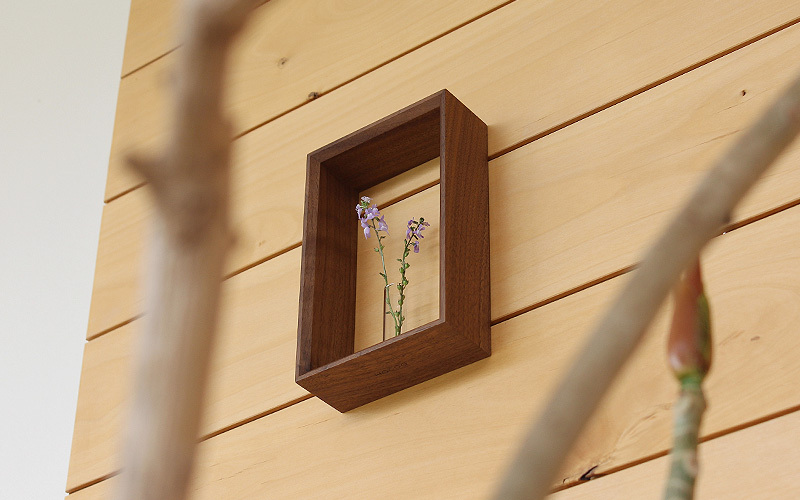 By using supplied small nail, it can be hanged on the wall like fine art prints.